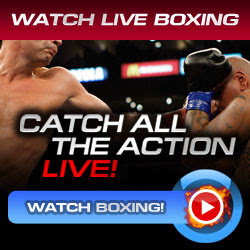 Watch Bernard Hopkins vs Jean Pascal 2 Rematch Live on Saturday May 21, 2011 from Bell Centre in Montreal, Canada for the WBC/IBO Light Heavyweight Title Crown and for the vacant WBC Diamond Light Heavyweight Belt. Nicholson Poulard of Canada vs Jaudiel Zepeda of Mexico in the light heavyweight bout. Kevin Bizier of Canada vs Mauro Lucero of Mexico in the welterweight bout. Eleider Alvarez of Colombia vs David Whittom of Canada in the cruiserweight bout. Zsolt Zathureczky of Hungary vs Oscar Rivas of Colombia in the heavyweight bout. Francisco Mireles of Mexico vs Didier Bence of Canada in the heavyweight bout. Ruben Galvan of USA vs Mikael Zewski of Canada in the light middleweight bout.